Objective: Write an algorithm to sort an array in increasing or decreasing order using Quick Sort. Place all the elements smaller than pivot in the left side of pivot. Place all the elements greater than pivot in the right side of pivot. 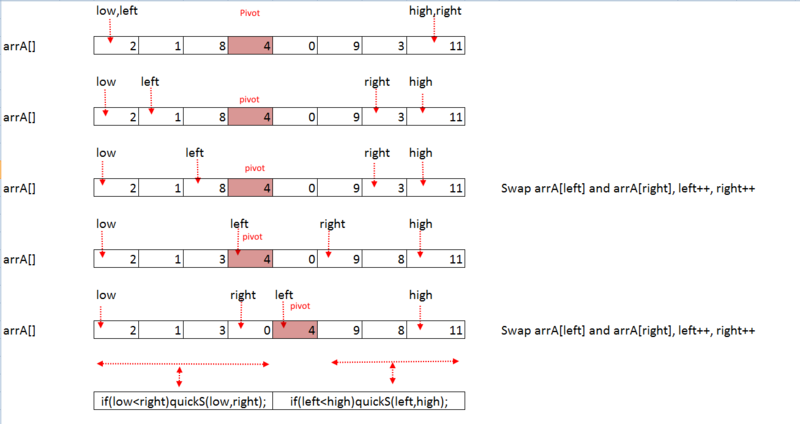 Sort left side and right side recursively.